Jack Herman is a determined young man. Jack wanted more and decided to challenge himself beyond the DA system. He opted to attend our Train Abroad Program in order to dig deeper into an innovative training methodology. “So many kids dream of training in Europe. We set up TOVO Academy as a private “Masia” for those players. To test yourself in Barcelona takes courage and Jack has been rewarded greatly for that ambition,” comments Todd Beane. Jack trained intensively in a way that very few players ever will. He was exposed to a manner of training that challenged him to understand the game profoundly and to execute his decisions flawlessly. He studied Spanish daily and coupled that language program with an online high school program from the United States. 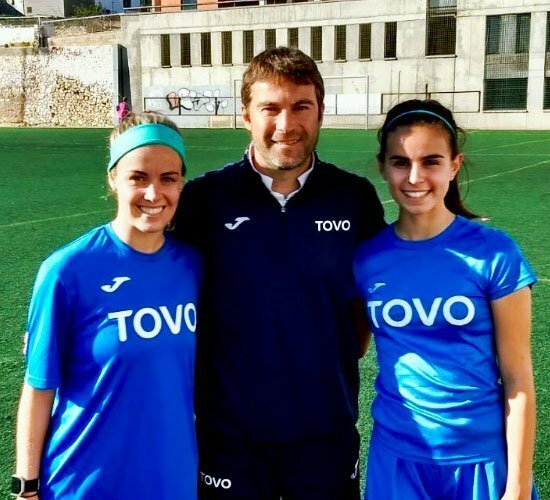 “For the six months that I trained with TOVO my level of play raised exponentially. Todd has become my close mentor and demanded only the best of me. TOVO gave me the opportunity to start my dream to play in Europe!” Jack comments on his experience at TOVO Academy. During his time in Spain Jack trained with two top clubs in Barcelona and both were impressed. He now knows what the standard is and looks forward to return to train with CF Gava. We wish him well on his journey to extraordinary Catalan style. 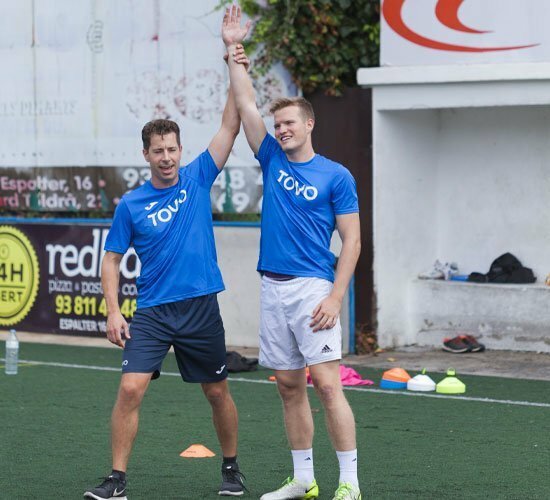 TOVO Academy Barcelona offers a transformational Train Abroad Program for ambitious teenagers eager to play the game with vision and precision. While not all players will transition to European clubs, all players will play more intelligently and become inspired global citizens. We are proud to announce that Hayden Sargis has signed a professional academy contract with the Sacramento Republic of the USL Championship. Hayden joined us from California as an ambitious teenager looking to hone his skills and expand his understanding of the game. To his credit, he has trained hard to deserve this honor as a teenager. 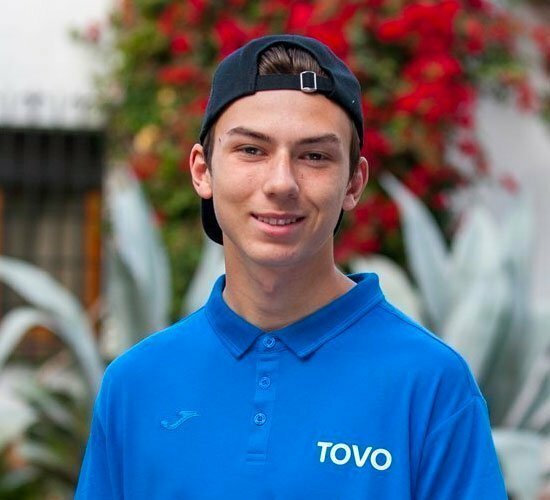 “We enjoyed Hayden so much here at TOVO as he demonstrated a competitive spirit and a willingness to learn. 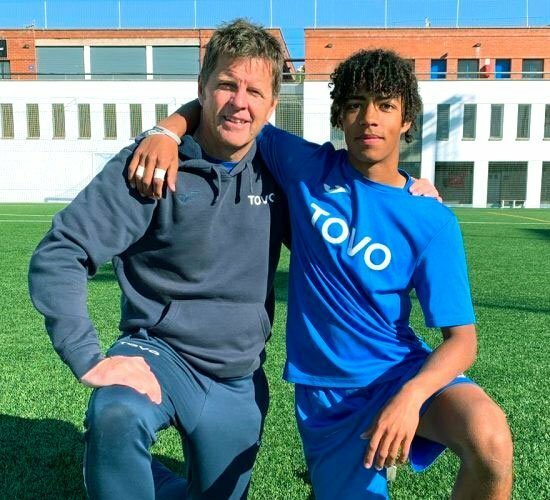 We are so proud of him and are confident that he will step up to meet the demands of a professional soccer program,” shares Todd Beane, founder of TOVO Academy Barcelona. TOVO Academy Barcelona offers a transformational Train Abroad Program for ambitious and dedicated teenagers eager to play the game with vision and precision. While not all players will make it to the professional ranks like Hayden, we do believe that all players can play intelligently and become inspired global citizens. Andy has been to both the T1 and T2 coaching courses, but his journey to extraordinary began a long time ago. “I first came across Johan Cruyff when I was 9 years of age when I saw him in the 1974 World Cup. My favorite player Pele had retired and I was not happy…. And then I saw the orange of the Netherlands and a team that I started to root for and in particular the no 14, Johan Cruyff. He was different from the other players especially the way he glided majestically over the pitch and although I didn’t realize at the time I was inspired. Two months later I started playing for my local team in Scotland. Then over 40 years later I again was looking for inspiration but this time in my coaching path.” Explains Andy. “My late Father always said to me that ‘you are never too old to learn!’ so I started looking on the internet to try and find some inspiration. This appeared when I was looking at the Cruyff Institute which led me to the TOVO Academy.” This is what brought Andy to TOVO. “Andrew is a man who combines a passion for the game with a sincere interest to do right by his footballers. 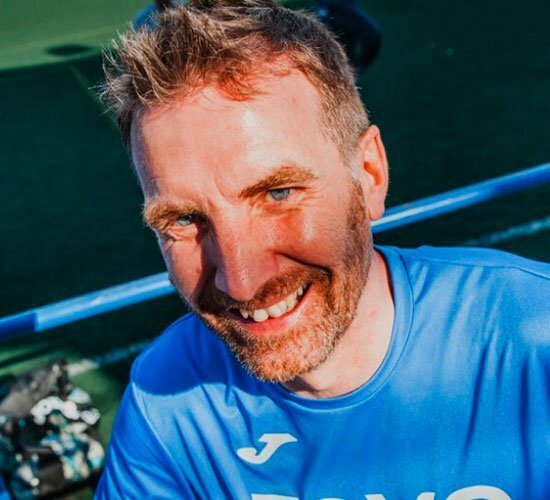 He literally will cut the grass himself to make community football flourish and I have come to respect him tremendously as a compassionate and committed coach. He embodies all that is wonderful about our TOVO family,” comments Todd Beane. We are proud to announce that Johnny Reynolds will be signing with ADO Den Haag in Holland. Johnny joined us from Seattle and spent six months training at TOVO Academy Barcelona. As a result of his commitment to learning and his passion for the game, Johnny has earned a remarkable opportunity to play professional football in Europe. “Of course I am proud of what Johnny has accomplished on the pitch, but if I am honest, I am more delighted with the way he matured as a young man while living with us,” comments Todd Beane. “I am excited for the next step. I’m the one who needs to thank you Todd because without your guidance and support, not to mention how much you have taught me about the game, I wouldn’t be in the situation I am, playing the game we both love,” Johnny shares. Claire Winter is an accomplished young woman. Having grown up in the Bay Area, Claire traveled south to attend UCLA, one of America’s top collegiate programs. She co-captained her team for her senior year, helping them to get to the National Championship game. Her journey to TOVO was a personal pilgrimage and an opportunity to test herself on European soil. She trained hard and fully immersed herself in the rich Catalan culture, which breathes football on a daily basis. Claire is currently on trial for a professional women’s team, combining her passion with commitment. “Claire came to us having recently competed in the national championship match – a high stakes, high pressure environment. We felt that we needed to help her fall in love with the game again by focusing on pure development and by kindling a deeper understanding of the game. She responded brilliantly and we are so proud to be providing her a pathway to professional football here in Europe,”shares Todd Beane. Our Canadian “Big Man” has been accepted to the prestigious Mount Allison University. Cody understood the limitations of developing himself as a soccer player in central Canada. He was motivated to see that game differently, to play the game more intelligently, and to reap the benefits of a full immersion in Spain.